Faculty, Staff, and Students can access all content on Lynda.com after logging in with an IdentiKey. To log in, go to lynda.colorado.edu. You will be directed to the CU Boulder Web Access page. Log in with your CULoginName and IdentiKey password. 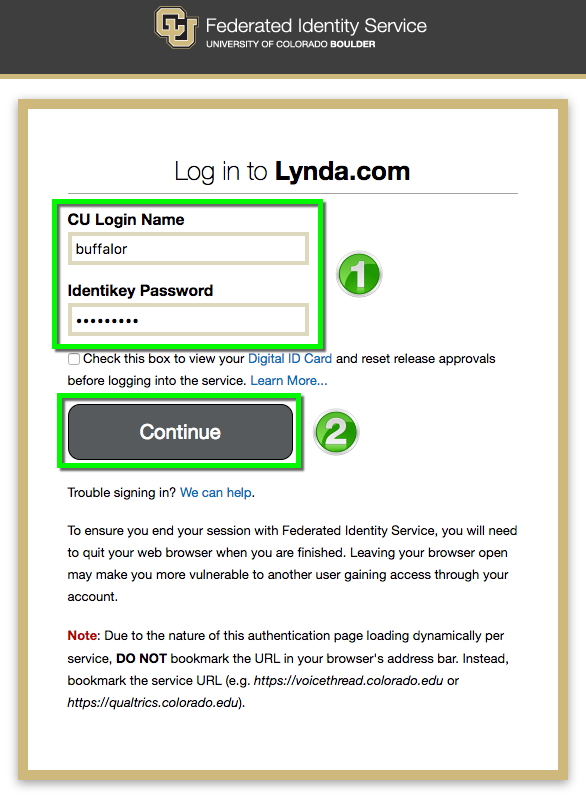 Because Lynda.com uses CU Boulder's Federated Identity Service, when logging in you may be prompted to verify the information on your Digital ID card. For more information, visit the Federated Identity Service page. Faculty, Staff, and Students can also access Lynda.com via MyCUInfo. 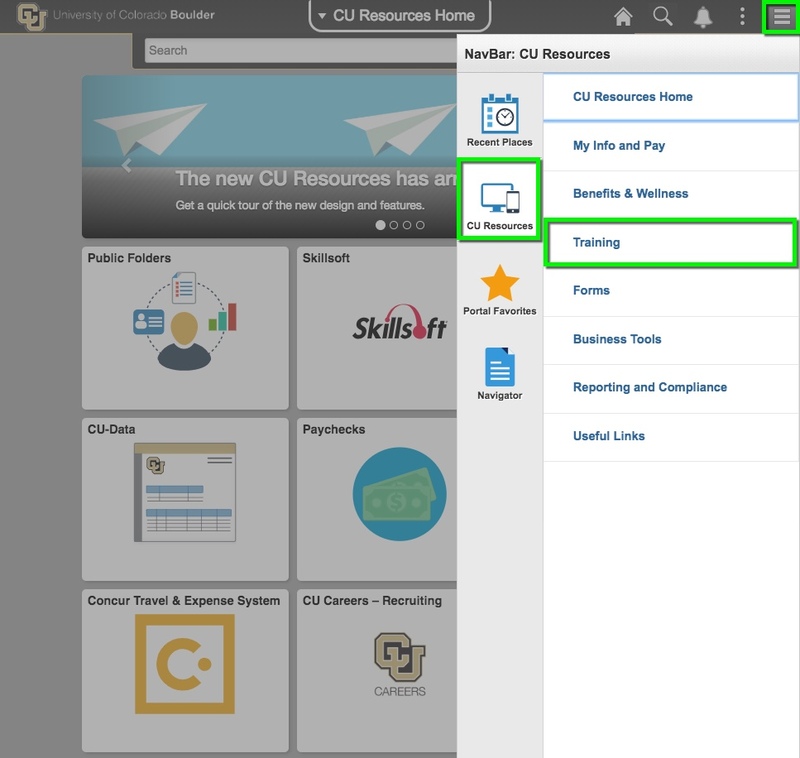 After logging in, click the Navigator button in the top right-hand corner of the window, select CU Resources, then Training. A new page will open, select Lynda.com. After logging in, select Training on the right-hand side of the window, then select Lynda.com and click the Login to Lynda.com button. CU Boulder has a campus-wide license of Lynda.com. Lynda.com is a common-good service for the campus, which means there is no direct cost to an individual or department. Current faculty, staff and students have access to all Lynda.com course materials. With more than 7,300 courses and 234,148 video tutorials taught by industry experts, Lynda.com is designed for all students, faculty, and staff looking to develop skills in Microsoft Office, Adobe Creative Suite, time management, HTML coding, and much more. Log in to Lynda with your IdentiKey to get started. The Lynda.com learning blog has weekly posts on the top trends in learning and development, product updates, success stories for learners, and tips on top courses to take. CU Boulder is committed to providing help, information, and assistance with campus services for all users, including those with accessibility concerns. Lynda.com accessibility considerations can be found on the Lynda.com Accessibility page.